The Omni William Penn Hotel is a premier Pittsburgh hotel and a member of Historic Hotels Worldwide, which is dedicated to promoting heritage and cultural travel to prestigious historic treasures. Registration for the NDSC 47th Annual Convention just opened this week and many families are excited about being in Pittsburgh this June 27th – 30th for the one-of-a-kind NDSC “giant family reunion” and to discover all that Pittsburgh has to offer. Recently named one of the “Best Places to Travel”, Pittsburgh offers award-winning restaurants, outstanding family attractions, and a vibrant downtown rich in history. We are thrilled to have arranged a special rate at the historic Omni William Penn Hotel for convention attendees. 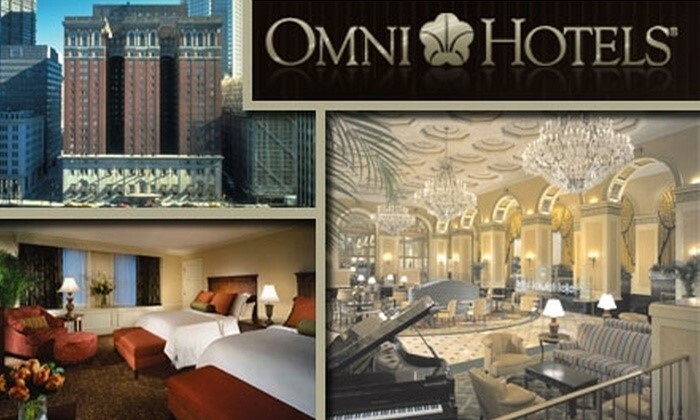 If you have not yet made reservations for your stay in Pittsburgh, you will want to check out the Omni William Penn Hotel and register via the link provided upon completion of your NDSC Convention registration. This historic hotel, just a short 2 block walk from the convention center, has spacious rooms available at the discounted convention rate of $159 per night and a shuttle that will run between the hotel and the convention center during all convention hours. Book your accommodations soon, as our room block is filling quickly. 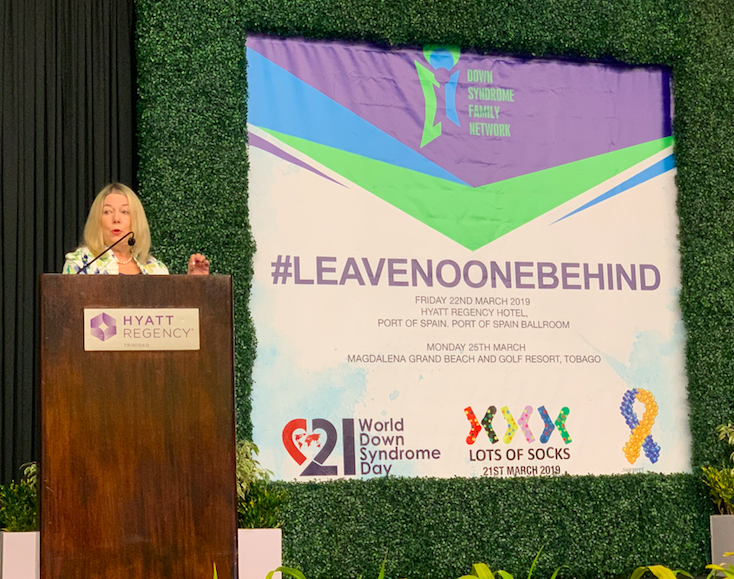 NDSC Senior Policy Advisor, Stephanie Smith Lee, spoke in Trinidad and Tobago last week at the UN World Down Syndrome Day Conference. 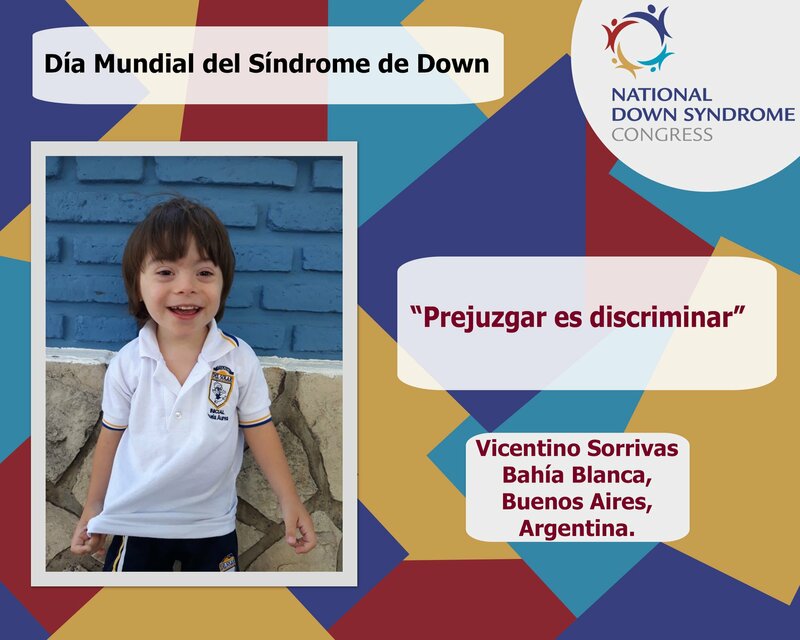 The conference is hosted in part by one of our NDAC Group members, Down Syndrome Family Network. 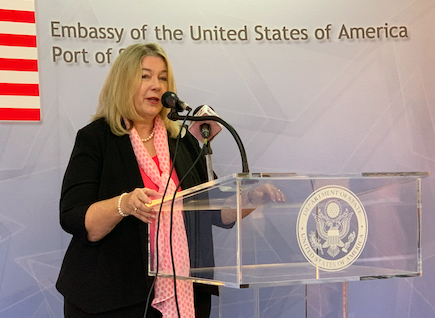 Stephanie spoke at the U.S. Embassy in Trinidad and Tobago on WDSD to Embassy staff, the media, and non-profit organizations about policy advocacy to create inclusive schools and the lessons learned in the US about how to create truly inclusive schools. As a featured speaker, she shared her knowledge of the lessons learned in the U.S. about inclusive education and the key role of family and self-advocates in creating positive change. Listen to one of her speeches HERE. NDSC continues to prioritize employment policy issues for people with Down syndrome and other disabilities. Much of NDSC’s work on employment policy is with the Collaboration to Promote Self-Determination (more info HERE), a coalition of national groups whose mission is to push for major systemic reform of the nation’s disability laws and programs to advance economic security, enhance integrated community participation, and increase opportunities for people with disabilities so that they are able to lead self-determined lives. Descubrá como eliminar y reducir sintomatologia de varios problemas de salud y desarrollo que afectan a niños y adultos con SD incluyendo autismo, ADD, diabetes, hipotiroidismo y demencia de Alzheimer. Se presentará una revisión de literatura implicando la dieta alta en azúcar y carbohidratos con muchas de las disfunciones gastrointestinales, neurológicas, endocrinas e imunitarias asociadas con SD. Un syntesis de la investigación hecha sobre las intervenciones dieteticas seran discutidas y se repasaran recomendaciones de varios proveedores de salud para ver como cambiar el trayecto de la disminución de las perspectivas para las epidemias de salud que afectan a las personas con SD. Registration Opens on March 25! Are you Ready? As the opening of registration approaches, we hope that you will take a few minutes to familiarize yourself with the registration system. We have prepared a video tutorial and a list of registration tips to help you have a great registration experience! Attending a Pre-Conference session gives you the chance to spend four hours digging deep into one specific topic. The nine session choices, presented by nationally known speakers, are structured to include content that is research-based, shares best practices, and provides proven “how to” strategies. All sessions will include time for Q & A. Pre-Conference sessions require an additional charge during registration. A multidisciplinary team of experts from the key areas of transition including decision-making, financial planning, employment, independent living, and healthcare will facilitate this workshop. Speakers will also discuss advocating for real opportunities in employment and post-secondary education during IEP meetings and meetings with Vocational Rehabilitation and support services. We hope this session will provide the audience with guidance on navigating the transition process and developing an individualized plan to adulthood for your adolescent with Down syndrome. At the NDSC, serving you and your family is our mission and our privilege. 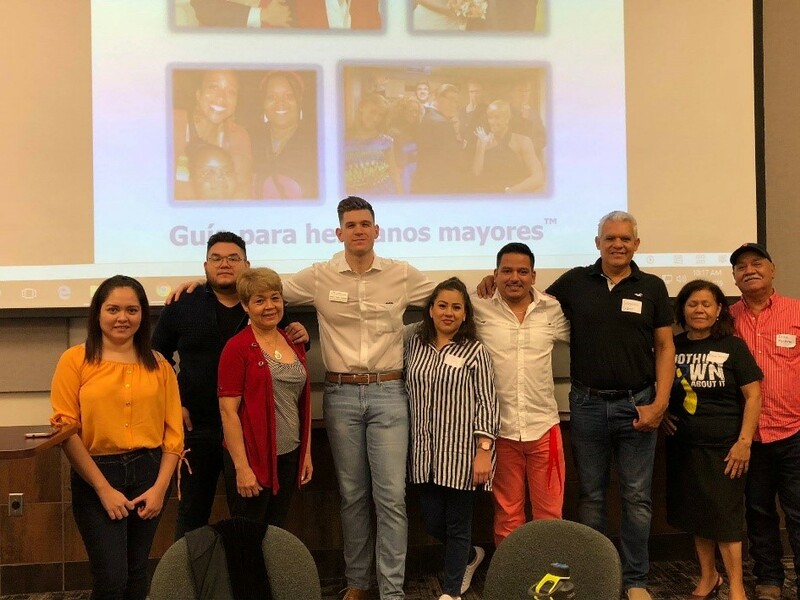 Since my last “Mission Moment”, we have delivered a Spanish-language workshop for adult siblings in McAllen, Texas; an Educators Conference in Nashville, Tennessee; two free webinars – one on transition by the Children’s Hospital of Philadelphia’s Alyssa Siegel, MD, and another hosted by NDSC staff designed to help prepare attendees for the upcoming registration; and, we attended the Down Syndrome Affiliates in Action Conference in St. Louis, where NDSC Policy Director Heather Sachs provided a policy crash course and where we shared free information and materials with affiliate leaders. 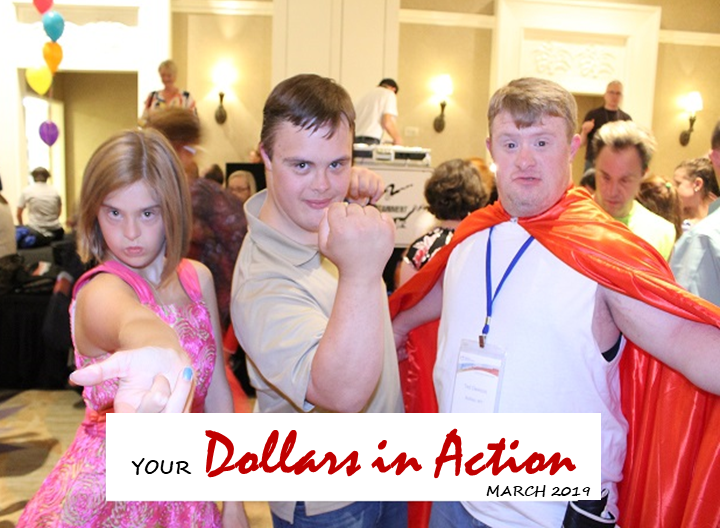 This weekend, we’re bringing our latest Down Syndrome Summit to Fort Wayne, Indiana, covering topics including inclusion, advocacy, behavior, health & medical, adult sibling issues, and special needs law. Registration Opens in 2 Weeks! Are you Ready? Join us tomorrow, March 12th, at 1:00 p.m. EDT, for a one-hour overview of the NDSC Convention before registration opens March 25th. Learn about the registration system, conference options for the entire family, and social and networking events so that you will be ready to register with confidence! 21 frases en 21 dias – ¡Necesitamos tus frases! Es una tradición de la NDSC. 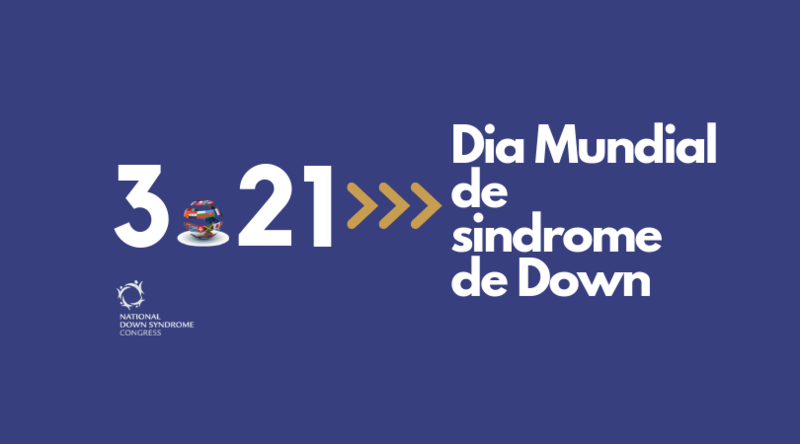 Si una persona con síndrome de Down o usted tiene una frase que le gusta, por favor envíela a Mateo, matthew@ndsccenter.org, antes del 21 de marzo. En el correo electrónico, incluya el nombre, una foto y el lugar donde vive. ¡Podrías ver tu fruse en nuestra página de Facebook! ¡Anunciando el taller de pre-conferencia en español! Por primera vez, tendremos tres ponentes para nuestra pre-conferencia en español. 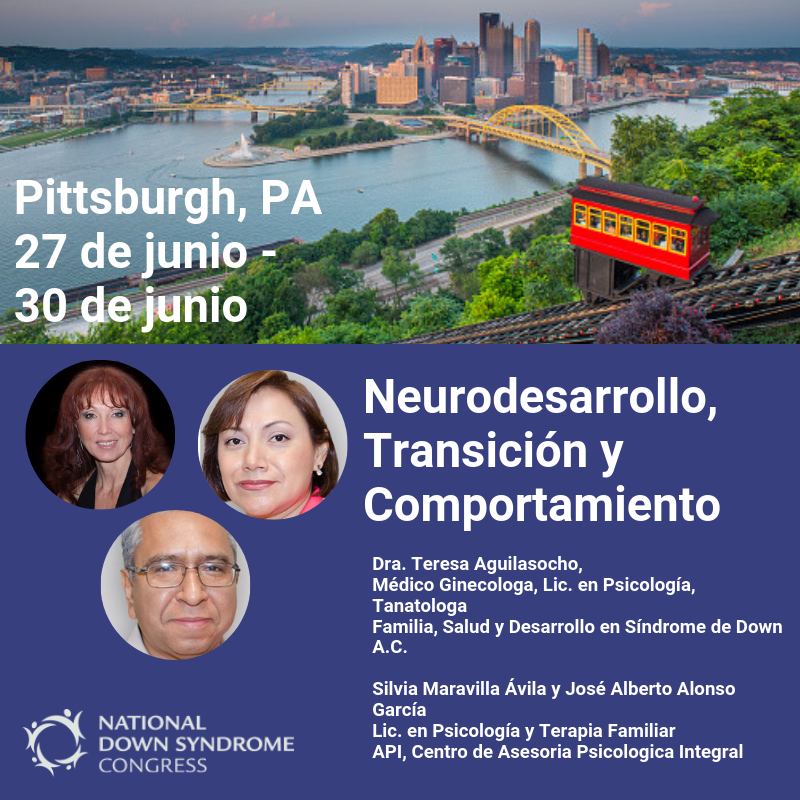 La pre-conferencia que presentaremos en español para la convención del NDSC es Neurodesarrollo, Transición y Comportamiento. Va a ser genial. ¡La inscripción abre el 25 de marzo! NDSC is proud to be one of the organizations leading the effort to pass the Transformation to Competitive Employment Act (H.R. 873/S.260). Recently introduced in the Senate by Senators Bob Casey (D-PA) and Chris Van Hollen (D-MD) and in the House by Chairman Bobby Scott (D-VA) and Representative Cathy McMorris Rodgers (R-WA), this bipartisan legislation will address barriers to employment and expand opportunities for competitive integrated employment for people with disabilities while phasing out subminimum wage certificates under Section 14(c) of the Fair Labor Standards Act over a six-year period. While other bills have sought to phase out Section 14(c), this bill is unique in that it also includes a systematic approach to expand capacity for competitive integrated employment, particularly for people transitioning out of sheltered workshops. The grants provided under this bill would provide technical assistance and funding to help states and 14(c) certificate holders move to a paradigm of more integrated and innovative approaches to disability employment.